How can I back my claim that Janovian Primal Therapy will become a prominent therapy in the twenty first century? The mystery of mental illness has plagued mankind for as long as recorded history. Greek philosophers around 300 BC are known to have discussed this affliction that affects the human species in such a negative way. In the early twentieth century Sigmund Freud was one of the first people to suggest that the human brain had a sub-conscious section that had a destabilising influence on the conscious mind. Freud and his protégé Carl Jung had a large influence on the discussion around mental health that has lasted for decades. Freud’s view of the subconscious mind still holds some currency even today, although just how it all works evades mainstream psychology. The esoteric nature of Jung’s archetypes to explain human nature has caused much discussion, but the theory does not seem to have a way of being scientifically proven. In 1967 Arthur Janov accidently discovered a way to access the subconscious. Ever since that moment Janov and his first wife Vivian, and later his second wife France, along with a dedicated team of therapists, developed a therapeutic process they called Primal Therapy. At the time they were derided for claiming they had discovered the cure for neurosis. The Janovs knew they had discovered something very important about the nature of the subconscious brain. 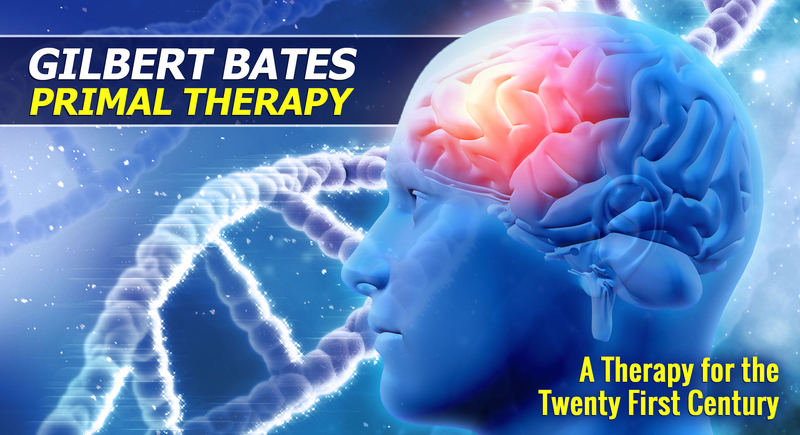 Unfortunately, during the process of trial and error, some mistakes were made in the development of the therapy. These mistakes, along with a whole range of interventions that are now regarded as archaic, are still documented in books, literature and on the internet. Many people were trying the therapy among themselves, and untrained therapists were advertising primal therapy because they knew it attracted patients. At the end of the twentieth century primal therapy had developed a bad name, mostly because untrained people, including psychologists and psychiatrists, were getting poor results. Some therapists are still using the early interventions that Janov found to be ineffective or in some cases dangerous. But despite the negativity surrounding primal therapy, Janov and his team were developing better techniques that worked with the brain and not against the basic action of the neurons. They were discovering that childhood trauma goes deeper into the brain, causing more damage than could ever be imagined. They discovered the three different levels of consciousness – cognition – feeling – sensation – and the therapy is designed to work within and between these three layers. The Janov team also discovered that these brain areas must be treated in reverse order in how they developed in human evolution. That means the therapy starts in the present with what is happening in the cognitive mind, then over time descends into and through the feeling level. Much later in therapy the brainstem sensation area can be dealt with. Janov says “Any proper psychotherapy must adhere to the laws of biology and evolution. When we follow the history in reverse it must adhere to the natural order of things. Many approaches that contain elements similar to primal therapy are ineffective and damaging because they violate that order.” Janov gave the examples of rebirthing, bioenergetics and gestalt as therapies that violate the natural order of things. The most recent attempts at developing effective trauma therapies come from Peter Levine and Bessel van der Kolk, but are doomed to failure because they do not recognise the nature of the three different levels of brain functioning, and also the laws of evolution are violated. I would advise anyone who is researching Janovian Primal Therapy to ignore most of what was written before the year 2000. This would also apply if you are considering doing primal therapy. Towards the end of my several years of training with the Janov’s (2007- 2009), Art Janov told the class that we had just received the best training possible, because the latest improvements had been included as part of our learning. In the twenty first century Janovian Primal Therapy, when practised by a trained therapist, has become a very precise and extremely effective therapy. The culmination of the Janov team efforts are on display for all to see in the legacy programme videos released in 2014. The best parts of Janovian primal therapy need to be brought into the twenty first century, where I am sure they will eventually be proven by modern research methods. Leave the bad reputations and the eclectic mish-mash of the multiple primal offshoots back in the last century where they belong. In the early days of the therapy Janov undertook research on heart rate, body temperature and cortisol levels that all showed improvement over the course of therapy. These findings have not been accepted as proof of effectiveness by the wider mental health industry. However, the twenty first century has seen the development of genetic, and specifically, epigenetic science. I believe that with this science we now have a method to prove the effectiveness of modern day primal therapy. On a personal experience level, I find the science behind Janovian primal therapy to be quite stunning. I feel like yelling out to all in the mental health field to get on the Janovian bandwagon. You will be so glad you did. The current psychological approach to understanding mental illness is based on the belief that the brain has two levels, the cognitive and the emotions/feelings. This model suggests the cognitive level has the most influence, hence the dominance of cognitive behavioural type therapies. This can be classed as a two-level top down action. Primal theory explains that the brain has three levels of functioning, which are the cortical cognition level, the limbic feeling, and brainstem sensation. Within this model the brainstem sensation level is the most powerful and influential in how the brain functions. This can be classed as a three-level bottom up action. When you undergo Janovian primal therapy you will get to experience these three different layers, proving that it is more than a theory. This experience will profoundly change the way you view your personal inner world, and also how the human species struggles because of unrecognised and untreated primal pain at the level of sensation. You will learn why the current view of psychology and psychiatry struggles to understand the causes of mental illness, and also why their attempts at cure are not successful – because they are not treating the level of the brain that is causing the dysfunction. Can an emotional release be therapeutic? This statement can only be made by a person who understands their life from an intellectual perspective only. When a person undergoes primal therapy, they gain access to their feeling level and gradually go deeper into the level of sensations. Only at this level can a person experience the full awesome power of an emotional release. This is the level at which my own deep healing occurred, and when I experienced this awesome power, there was no doubt in my mind that it had the ability to alter the action of my DNA at the epigenetic level. The doorway to these places in the brain are not obtained within any degree from any university anywhere. One must go into a padded, soundproof room where a trained therapist will guide them into their feelings and sensations; only then will they get to experience the sheer power and therapeutic benefit of a pure emotional release. There is one caveat – the emotional release needs to be a part of the original memory. This is what sets Janovian primal therapy apart from all the other emotional release type therapies that are becoming popular in mainstream psychology. It is the difference between getting well or being stuck in abreaction. Another important distinction with primal therapy as compared to other therapies is that sessions are open-ended timewise. Feelings have their own time frame and cannot be rushed. Any therapist who offers set timed sessions cannot possibly be doing good primal therapy. So many discoveries await science in the twenty first century if they can reverse the focus on the human intellectual level of mind, and research the wonders that await us on the other two levels of brain functioning.